We offer a suitable means of transportation for clients who need dialysis. If your loved ones have kidney failure, then they will need to have regular dialysis in order to purify their blood and to keep their bodies free from excess water, waste, and other impurities. Because the dialysis will be part of their routine for the rest of their lives (unless they get a kidney transplant), they will need to have a reliable mode of transportation that can bring them to and from their dialysis appointments. 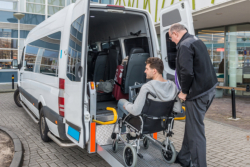 Safe, regularly maintained non-emergency medical transportation is what we provide at Advance Transport Services. With our vehicles and highly experienced staff members, your loved ones will have a ride that they can trust. Please request a free estimate or book a ride online. For further information about this, you may call us at 916-436-6953.